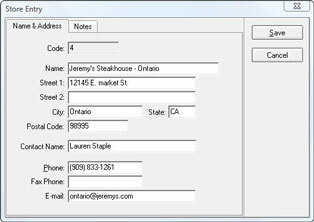 Use in one or many restaurant locations to get the financial information you need when you need it! Can be used in any size of organization. Key financial information is transferred to headquarters from each location in a chain or franchise organization. Requires only a simple, affordable email account at each remote location and at the central office. Information is automatically sent daily or weekly via email. This transfer can be scheduled to occur at any point, usually at night. Customers and their purchase information are transferred to headquarters automatically with each financial batch. Customer information is aggregated at headquarters for email or postal mail marketing. Available marketing reports include good customer mailing list, new customer mailing list, email export, mailing list export, lazy and lost customer mailing lists and reports, and more. 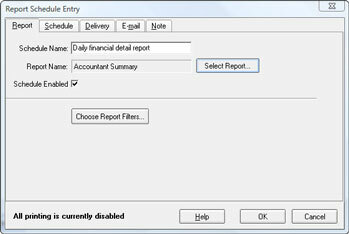 Standard or custom Point of Success reports can be produced and emailed at any time of the day or night. Use this feature to gather specialized information or even to get hourly sales and expense updates. File format types available include .PDF, .CSV, and many other formats. CentralPoint Headquarters – Receives information sent from remote locations. Produces financial reports and manages marketing lists. Used in the headquarters location. CentralPoint Remote – Automatically sends financial data, customer information and reports. Used in each store location. 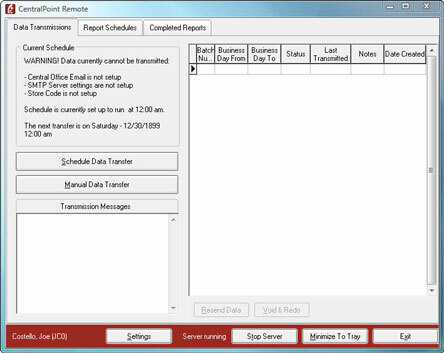 Remote can be used alone to schedule, produce and email reports without the need for a Headquarters module on the receiving end. Imagine receiving up-to-the-minute sales information on your email-equipped mobile phone or through your personal email account whenever you want to see it! Headquarters and Remote modules are sold separately. Central office reporting is in reach for every restaurant or bar enterprise. Sales summary information and customer purchase history for central office marketing are transferred through an ordinary email account. Transfers from remote locations are scheduled for automatic delivery to headquarters either daily or weekly. CentralPoint works for franchise or chain restaurants and bars with a virtually unlimited number of locations. Financial reporting and marketing functions are available for individual stores or the entire organization. CentralPoint reporting and data export features provide financial information and marketing tools to help make an organization more successful. Includes financial summary reports by location or for the entire organization, and marketing tools for maximizing customer relationships using postal mail and email. CentralPoint Remote is always running, but is visible only in the system tray near the clock. Use this window to manage all communication sent from a local store to headquarters. No interaction is required at the remote location to send scheduled information. Sales summary data and customer purchase data is sent to headquarters through an ordinary email account. Use this window to enter the address of the outgoing email server. Use this window to schedule automatic data transfers to the Headquarters module once a day or once a week. 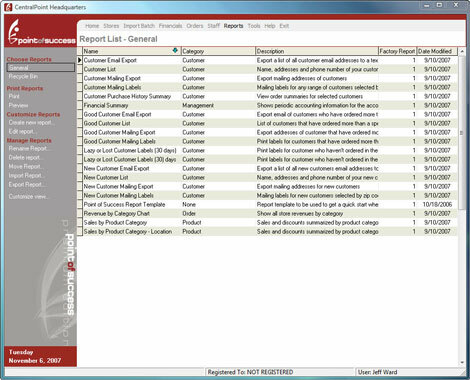 CentralPoint Remote can also schedule and deliver any Point of Success report via email.